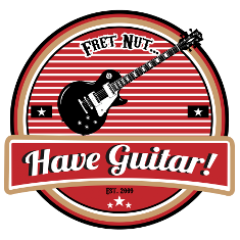 3rd power Archives - Fret nut... Have Guitar! Have Guitar! is back with a new Kemper Rig Showcase – this time I’m happy to be able to present the Mbritt / 3rd Power 3P CSR Pack! It’s a co-operation between Michael Britt and 3rd Power amplification, and yes – it’s another amp manufacturer who now offers Kemper profiles from their own amps. A very nice initiative if you ask for my opinion! In this rig pack you will get 60 studio profiles created from the original Citizen Gain CSR prototype unit. These Kemper profiles really cover a wide range of tonal possibilities or as Mbritt states in his information sheet “everything from vintage plexi all the way to 800 land”. For myself, I was highly impressed by this pack, from the variation of the profiles to the tonal qualities they bring to the table. So, have a listen to my demo then just head on out and buy this pack already! Hope you liked the video! If so please support Have Guitars effort to bring fun guitar-related videos to quaff boredom by subscribing to the channel. A big thanks as always to all of you already subscribing, very much appreciated! Coming up this thursday – Kemper Rig Showcase with the new profile pack from Mbritt / 3rd Power. Here’s a sneak peak of the 3P CSR pack based on a 3rd Power Citizen Gain amp!